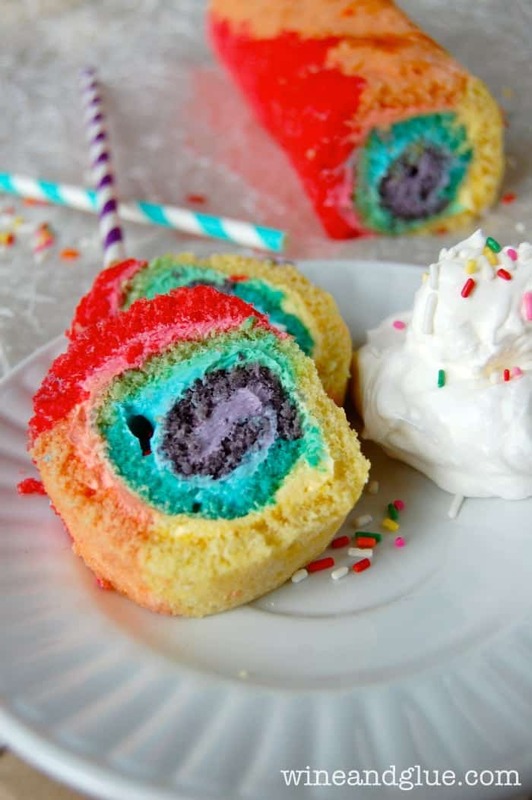 Rainbow Cake Roll! 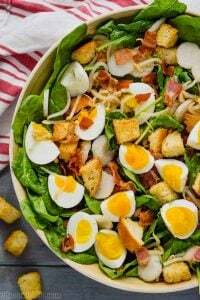 An easy recipe with a big wow factor!! I’m kind of in denial, but my little girl is TWO today!! I can barely believe that we have gone from that sleepy newborn stage to a little girl who loves to give her family hugs and kisses, dance wildly, and has a smile that could melt the polar ice caps in what feels like a week and a half. Time has gone alarmingly quickly. 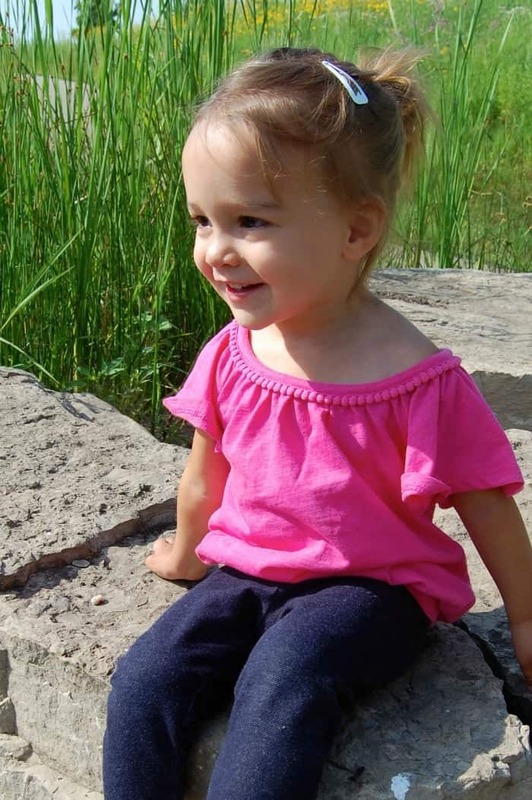 In the last year, Quinn has gone from a toddler who had more similarities to an American who speaks exclusively English traveling alone in Germany to this sassy spunky little two year old with a rich and wonderful sense of humor. Very often people who have babies after losing a child call that next baby their “Rainbow Baby.” I cringe a little at that description, because I would never want anyone to describe Elliot as a storm. He was nothing but warm rays of sunshine in my life. But the wake of his death? Yes, that was a storm. Quinn’s pregnancy? That was a storm. Constantly wondering if she would be okay. Trying to imagine her being born into this world safe and sound and seeing nothing but darkness when I tried to imagine her safe passage into our lives. But when Quinn was born, literally the moment after she was born, the clouds parted for me and she was my rainbow. My mind was put at ease, and I felt at peace with this little life. 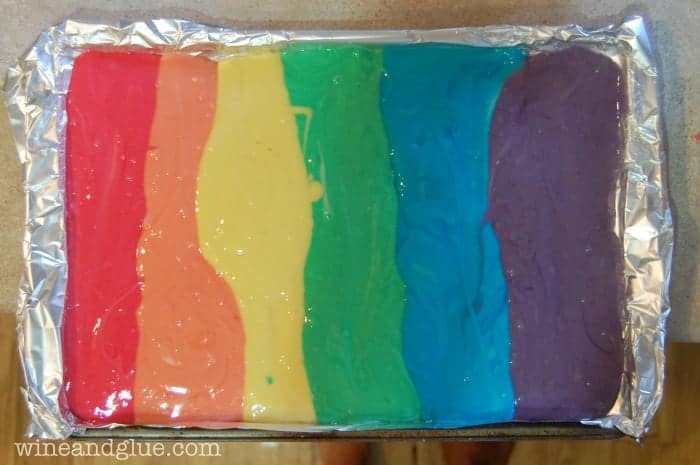 So what better cake to celebrate than a rainbow cake?? 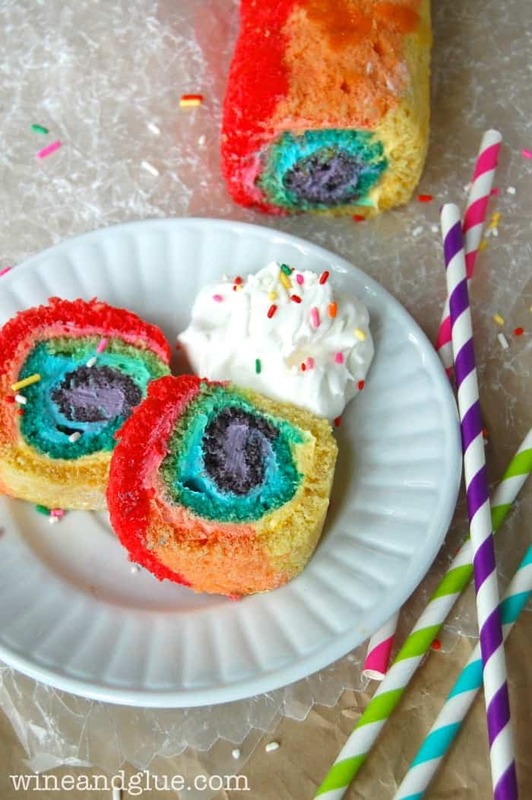 This rainbow cake roll idea came to me in that odd state between fully awake and fully asleep around the Fourth of July. I was actually thinking of a red, white, and blue cake roll in addition to a rainbow cake roll and seriously woke up the next morning to see this amazing Patriotic Cake Roll from Crazy for Crust. Great minds, people. Great minds. Dorothy is the Queen when it comes to cake rolls. 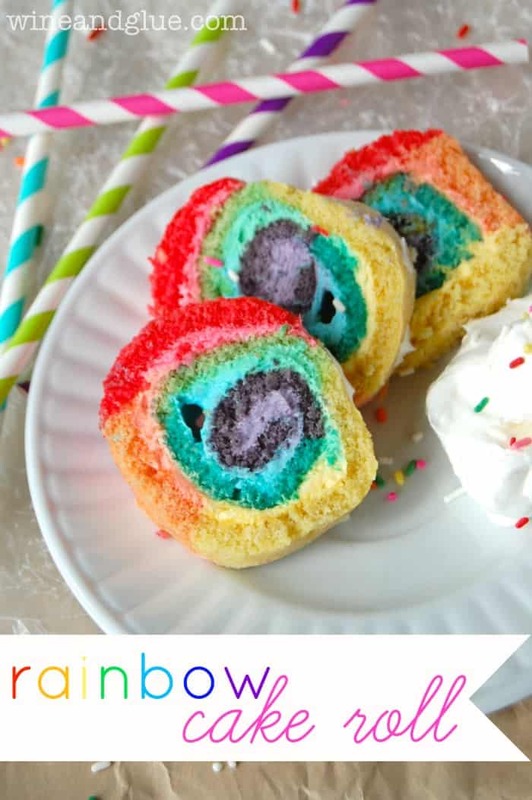 I, foolishly, tried to do this Rainbow Cake Roll with a box cake mix . . . twice . . . before just going with Dorothy’s flawless recipe and instructions. 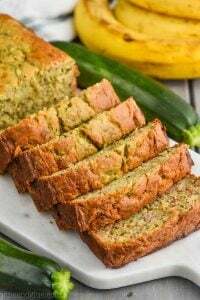 In fact, one of her most recent cake rolls, the Zucchini Cake Roll with Chocolate Cream Cheese Filling, has an amazing set of rules/tips to follow when doing a cake roll. You must check it out. To see all of Dorothy’s Cake Rolls, click here. Meanwhile, Happy Birthday Sweet Pea!! I love you my little rainbow. You light up my life! Preheat the oven to 350. Line a jelly roll pan (the shallow ones that are 10 by 15) with foil, spray the foil with cooking spray and lightly dust it with flour. Beat the eggs on high until frothy, about five minutes. Beat in the sugar, oil, and vanilla. In a separate bowl, whisk together your dry ingredients, the flour, salt, and baking powder, until combined. Now add them to your wet ingredients by folding them in. Do not over mix. Sperate the batter into six bowls. I used a scale to make sure that equal amounts were in each bowl. Make sure that you get every last drop of batter. 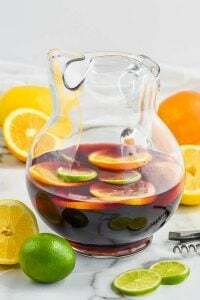 Add food color to get red, orange, yellow, green, blue, and purple. Note: The batter is very yellow, so you likely won’t have to add yellow, and you may not get as crisp brilliant colors as you’d like. While the cake is baking spread a clean towel on the counter, sprinkle very liberally with powdered sugar making sure that no area of the towel that will see cake is showing. Let the cake cool, rolled up in the towel, for at least an hour, but not longer than four hours. While the cake is cooling, color your frosting rainbow colors (in the six separate bowls) to match the cake. After the cake has finished cooling, unroll it. Frost the red frosting on the red part, orange on orange, etc. The lines of color won’t be exact, but I would follow the cake for the frosting. Roll the cake back up, chill for at least a half hour, cut (make sure you wipe off the knife betwen each cut), serve, and amaze your guests!! This is an awesome birthday cake! Mine turns two in January, it goes by too fast! We are coo coo for anything rainbow so I LOVE this!! I’m freaking scared to death to make a cake roll. I’ve shared this with Dorothy, but maybe with her fab instructions I can pull it off. I’m glad you have a little rainbow in your life Lisa. You deserve it! Thanks Julie! It wasn’t bad!! Dorothy’s instructions are flawless!! I love this pic of your beautiful girlie! Happy Birthday! This cake looks pretty amazing and special! Sounds like she deserves it! Happy birthday to her!! She is so adorable, and she most certainly is a rainbow. You know I love this cake roll. I’m obsessed (obvi) and I love rainbows sooooo much. Thank you for all the linky love! Thanks for all your wonderful instructions Dorothy!! You are a cake genius!! This is awesome! I’m definitely going to have to try this with my little ones. Hi Lisa, I love your cake roll. The colors came out great and I love how you matched the frosting to the cake! I would love for you to share this at the Krafty Inspiration Thursday Link Party over at Krafty Cards etc. OMG!! Love, love, love! This is an amazing looking cake for an amazing day! Perfect! Makes my PB one look a bit boring! 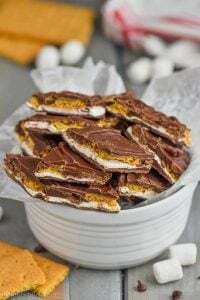 Our readers would gobble this up to, stop by and link at our SUPER SUNDAY Link Party running live now through Tuesday evening! What a cool way to celebrate a birthday! I’ve never heard of a roll-up cake before (crazy, right? ), and this might be something I should tackle this fall. And a very happy birthday to Miss Quinn! I hope that she has a lovely second birthday! You’ve never heard of a roll up cake before??? You have to try it! It’s super pretty and super delicious! That cake is pure genius Lisa! I absolutely love all of the colors 🙂 Happy belated birthday to your adorable little girl!!! I love that Quinn is your rainbow. So cute. Oh how cool is this!! My girl both have birthdays coming up and I’m scouring the internet for ideas. Love this cake! Jen Nikolaus recently posted…29 Healthy After School Snack Ideas! If you follow the directions, step 6–colors laying short way, you will get stripes instead of all colors in each piece. Ask me how I know….. I believe you need to layer batter the long length of the pan. Hi Pam! Sorry the cake didn’t work for you! I’m going to email you a picture of how my colors looked in the pan, and add it to the post. Is it possible that you rolled your cake up a different way than I did? Lovely cake, easy instructions and beautiful little girl. Just one question – should I use plain flour or self-raising flour? What a fun cake roll! Great idea. Can you even believe that a few months from now they’ll be turning THREE?? Where does it go….seriously? I absolutely love this cake roll; how cute would it be to have this been Quinn’s annual bday dessert? Just be sure to invite me over for a piece!! Your little rainbow is truly a masterpiece and I’m sure a joy to your life. I know that my grandchildren are truly a wonder to mine. I’m raising two of them, ages 10 and 11, girls. They are keeping me young atleast at heart. LOL.